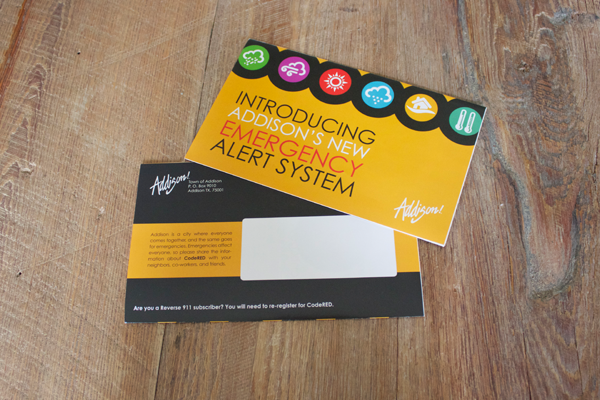 The Town of Addison wanted to build a mini-brand for their new Code Red Emergency Alert system. 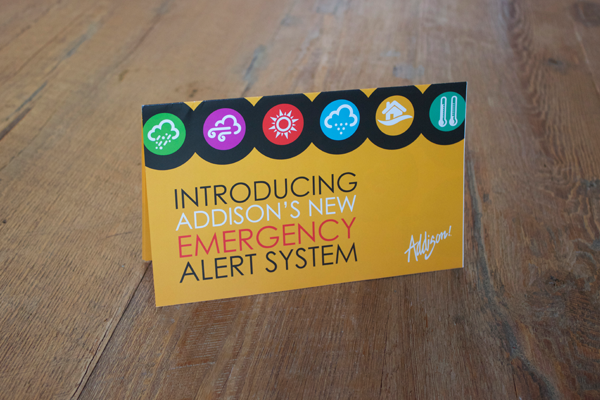 Rainmaker Advertising designed this colorful self-mailer to educate Addison residents. 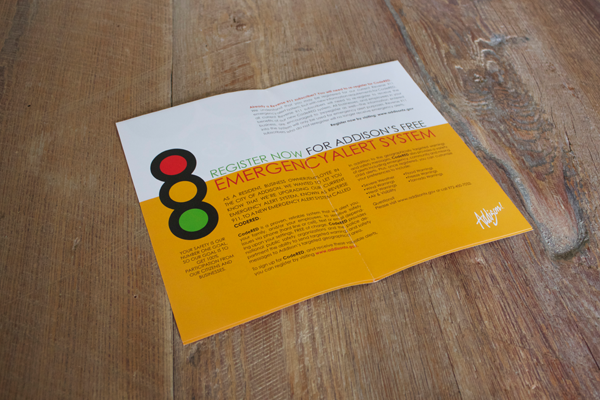 The mailer opens into a striking poster that communicates important contact phone numbers for future reference. 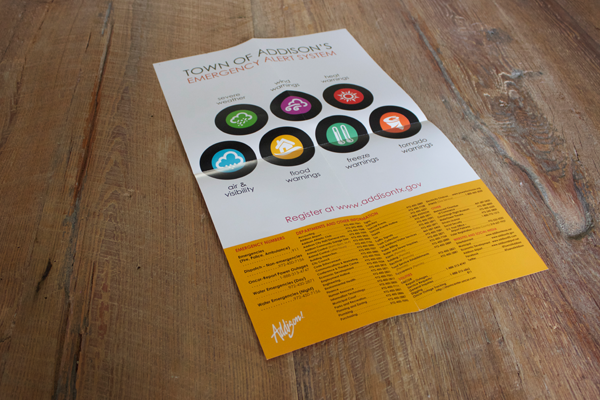 The brand was also incorporated in kiosk signage used throughout the city and banner advertising on the Town of Addison’s website.